Justus Kane Sheffield…resides in Tullahoma, TN… went 10-0 with a 0.43 ERA (3 ER, 61.2 IP) and 131 strikeouts in his senior season at Tullahoma (TN) High School… named the 2014 "Gatorade National Player of the Year"…was a Perfect Game USA First Team All-American and First Team All-State selection by the Tennessee Baseball Coaches Association. The Totals - Made 3 relief appearances with the Yankees, allowing 3 runs in 2.2 innings of work (10.13 ERA)…all 3 runs scored via 1 home run…walked 3...Ranking - Following the season, named the No. 1 prospect in the Mariners organization by Baseball America and MLB.com…overall, ranks No. 43 by MLB.com, No. 27 by Baseball America...Debut - Made his Major League debut with the Yankees on Sept. 19 vs. Boston, tossing a scoreless 9th inning…made his debut at 22 years, 129 days of age…selected from Triple-A Scranton/Wilkes-Barre on Sept. 18...Youth Movement - Was the 6th-youngest player in the American League in 2018, including the 2nd-youngest pitcher...Minor Details - Began the year with Double-A Trenton, going 1-2 with a 2.25 ERA (7 ER, 28.0 IP) with 39 strikeouts and 14 walks in 5 starts…promoted to Triple-A Scranton/ Wilkes-Barre on May 4, where he went 6-4 with a 2.56 ERA (25 ER, 88.0 IP) with 84 strikeouts and 36 walks in 20 games (15 starts)…made 3 postseason relief appearances with Scranton/W-B, going 1-0 with a 3.60 ERA (2 ER, 5.0 IP) with 5 strikeouts...Bright Future - Named to the U.S. Team for the All-Star Futures Game…tossed 1.1 innings, allowing 2 runs on 2 hits (1 home run) while striking out 1...Honors - Selected by Baseball America to the 2018 Minor League All-Star Team. Spent nearly the entire season with Double-A Trenton, logging a 7-6 record with one complete game and a 3.18 ERA (93.1IP, 94H, 43R/33ER, 33BB, 82K, 14HR) in 17 starts…was named to the Eastern League Mid-Season All-Star Team…at 20 years and 11 months, was the fourth-youngest player to make a 2017 Opening Day roster in the Eastern League…yielded one-or-zero earned runs in 9-of-17 turns…held opponents to a .258 BA (94-for-365); LH .217 (25-for-115); RH .276 (69-for-250)…was named Eastern League "Pitcher of the Week" for 5/22-28 after winning both starts and posting a 0.69 ERA (13.0IP, 7H, 2R/1ER, 3BB, 10K, 1HR)…tossed his ﬁrst career complete game and shutout in 6/18-G1 win vs. Erie, permitting just 3H over 7.0IP (1BB, 3K, 1HP)…started two games in the Eastern League playoﬀs, tossing 4.0 hitless, scoreless innings (2BB, 3K, 1HP) in Game 1 of the EL Semiﬁnals vs. Binghamton and taking the loss in Game 2 of the EL Championship Series vs. Altoona (4.1IP, 4H, 2ER, 1BB, 6K)…also made two starts with the GCL Yankees West, going 0-1 with a 1.93 ERA (4.2IP, 4H, 1ER, 1BB, 6K)…following the season, pitched for Scottsdale in the Arizona Fall League, where he went 2-2 with a 3.10 ERA (20.1IP, 14H, 8R/7ER, 3BB, 22K) in ﬁve starts, ranked second in the league in WHIP (0.84) and earned a spot on the AFL All-Prospect Team…following the season, was labeled by Baseball America as the No. 3 prospect in the Yankees organization and No. 41 prospect in baseball. Combined with Single-A Lynchburg, Single-A Tampa and Double-A Trenton to go 10-6 with a 3.09 ERA (125.1IP, 107H, 47R/43ER, 53B, 129K) in 25 starts…held opponents to a .230 (107-for-466) BA and a .200 (23-for-115) BA with runners in scoring position…allowed 3ER-or-fewer in 22 of his 25 starts…started the season with Lynchburg and went 7-5 with a 3.59 ERA (95.1IP, 91H, 40R/38ER, 40BB, 93K) in 19 starts…was named a Carolina League Mid-Season All-Star…was acquired by the Yankees from the Indians on 7/31/16...was transferred to Tampa where he made five starts, going 3-1 with a 1.73 ERA (26.0IP, 14H, 6R/5ER, 10BB, 27K)…recorded a career-high 11K in his Tampa debut on 8/5 vs. Daytona, allowing only 1ER in 6.0IP (2H, 1BB)…was promoted to Trenton on 9/2 and made one start, allowing an unearned run over 4.0IP (2H, 3BB, 9K)…following the season, was named the N0.7 prospect in the Yankees organization by Baseball America. Spent the season with Single-A Lake County, going 9-4 with a 3.31 ERA (127.2IP, 135H, 60R/47ER, 38BB, 138K) in 26 starts…ranked second in the Midwest League in strikeouts…his 9.73 K/9.0IP ratio led Midwest League starters…was a Midwest League Mid-Season All-Star…went 3-3 with a 2.03 ERA (66.2IP, 15ER) over his ﬁnal 13 starts…following the season, was tabbed an Organization All-Star by MiLB.com and labeled the No. 4 prospect in the Indians organization by Baseball America. Made his professional debut with the AZL Indians, going 3-1 with a 4.79 ERA (20.2IP, 24H, 16R/11ER, 9BB, 29K) in eight games (four starts)…recorded 10K over 4.0 scoreless innings (1H, 1BB) on 8/16 at the AZL Padres…following the season, was named Cleveland's No. 4 prospect by Baseball America. 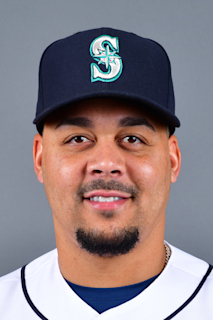 March 11, 2019 Seattle Mariners optioned LHP Justus Sheffield to Tacoma Rainiers. September 18, 2018 New York Yankees selected the contract of LHP Justus Sheffield from Scranton/Wilkes-Barre RailRiders. July 17, 2018 Scranton/Wilkes-Barre RailRiders activated LHP Justus Sheffield from the temporarily inactive list. July 14, 2018 Scranton/Wilkes-Barre RailRiders placed LHP Justus Sheffield on the temporarily inactive list. May 23, 2018 Scranton/Wilkes-Barre RailRiders activated LHP Justus Sheffield from the 7-day disabled list. May 12, 2018 Scranton/Wilkes-Barre RailRiders placed LHP Justus Sheffield on the 7-day disabled list. May 4, 2018 LHP Justus Sheffield assigned to Scranton/Wilkes-Barre RailRiders from Trenton Thunder. February 2, 2018 New York Yankees invited non-roster LHP Justus Sheffield to spring training. September 3, 2017 Trenton Thunder activated LHP Justus Sheffield from the 7-day disabled list. August 25, 2017 Trenton Thunder sent LHP Justus Sheffield on a rehab assignment to GCL Yankees West. July 6, 2017 Trenton Thunder placed LHP Justus Sheffield on the 7-day disabled list. January 31, 2017 New York Yankees invited non-roster LHP Justus Sheffield to spring training. September 2, 2016 LHP Justus Sheffield assigned to Trenton Thunder from Tampa Yankees. August 3, 2016 LHP Justus Sheffield assigned to Tampa Yankees. April 5, 2016 LHP Justus Sheffield assigned to Lynchburg Hillcats from Lake County Captains. April 6, 2015 LHP Justus Sheffield assigned to Lake County Captains from AZL Indians. July 6, 2014 LHP Justus Sheffield assigned to AZL Indians. June 16, 2014 Cleveland Indians signed LHP Justus Sheffield.